Painless, the band featuring ex-Emmure members Mikael Mulholland (Recon), Jesse Ketive, Mark Davis, and Mark Castillo (Bury Your Dead), along with vocalist Jacob Shaw (ex-Devanation), have premiered a new video for their new song “Ominous Wind,” via Lambgoat. This track is from the group’s debut EP “No Help,“ which will be released on June 22. Painless, the band featuring ex-Emmure members Mikael Mulholland (Recon), Jesse Ketive, Mark Davis, and Mark Castillo (Bury Your Dead), along with vocalist Jacob Shaw (ex-Devanation), have premiered a new video for their new song “Spellbinder.” This track is from the group’s debut EP “No Help,“ which will be released on June 22. 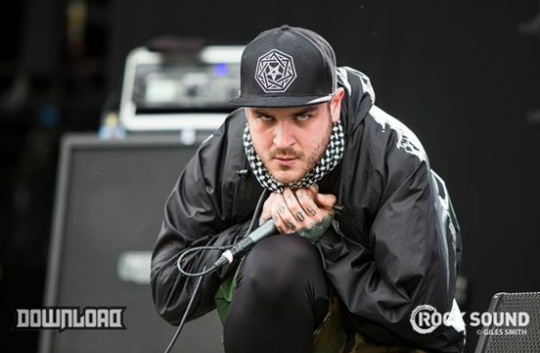 Yesterday, it was revealed that Mark Davis, Jesse Ketive, Mikael Mulholland, and Adam Pierce had all exited Emmure, leaving frontman Frankie Palmeri as the only member. Now, Palmeri has issued his own statement saying that he has already formed a new lineup, and that they are currently working on a new album. “Well I think I have left you all waiting in suspense long enough. I want to first start out by saying the amount of positive support I have gotten since this news broke has been incredible , and I am so thankful to have so many true fans stand behind me during this time. As far as the future goes I am happy to tell you all that this is not the end of EMMURE. There is in fact a new line up right now and we are currently working on a new studio album. Details about all of that will come to light as the weeks and month progress , but do know that there is something to look forward to. You can expect us to be making up for lost time next year as we start our first tour dates in Europe and will eventually make our way back to the USA near the end of 2016. Also know that we will embark on many other international stops so if you are reading this anywhere in the world you can expect to see us at some point next year. Mark Davis, Jesse Ketive, Mikael Mulholland, and Adam Pierce have all exited Emmure, leaving frontman Frankie Palmeri as the only member. Those four plan to continue playing together in a new project next year. “The four of us made the decision to leave the band pretty much immediately after finishing our set on September 9 in Russia. It was our first string of shows back (Ghostfest in Leeds, and two headlining shows in Russia) since taking most of spring and all of summer off to allow Frankie’s vocal cords to heal, which he injured during the Stronger Than Faith Tour. We all expected to come back to a refreshed, productive and positive work environment, but that was not the case. “[We]are currently working on material for an un-named/un-fronted project. It is in the early stages but progressing quickly, and we will be ready to find a singer to fit the sound of the band soon. And as far as the sound goes, it’s still going to be us playing our instruments the way that we love to, but in a new, refreshed environment.